Is it Fair to Drive after Taking Drugs and Drinking? Most countries now have laws in place that prohibit being intoxicated on alcohol or under the influence of any other kind of drug while driving a motor vehicle. The reason? 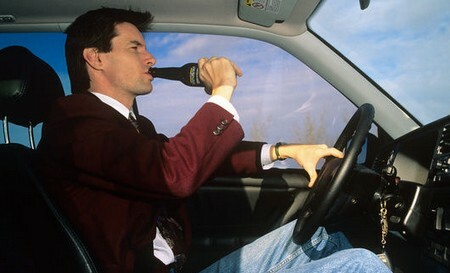 In the U.S. the total number of fatalities recorded for accidents in 2008, where alcohol was involved, was 13,846. What this means is that 37% of all fatal accidents in 2008 had a person involved with a BAC (Blood Alcohol Concentration) of .08 or higher. This does not mean that all the drivers were drunk however, if you are intoxicated and stumble out into the street, thus causing an accident … well, your impaired judgment still caused the accident–whether the driver hits you or swerves to avoid you. Drunk Driving Death Clock (US): 3444 – Time: 10:13 pm, Tuesday, April 26, 2011. Alcohol is a central nervous system depressant, what this means is that it interferes with your brain’s ability to process information and it’s ability to send signals through the nervous system. Alcohol enters the blood stream so quickly that, even after only a few minutes, it can be found in nearly every cell of a human body. So, even someone that has only had 1-2 drinks will have a BAC level within a few minutes although, they might not realize it. A lot of people have a misconception that other kinds of drugs don’t have this debilitating affect–they’re wrong. Any drug that makes you feel different from your normal state of being, is affecting your body. Even drugs that seem to “heighten awareness” are extremely dangerous to use while operating a motor vehicle. This is because these drugs often act as conductors between the nervous system cells … and they could be sending false signals. Imagine thinking that you heard or saw something and swerving to avoid it, when in reality there was nothing there. Some of these drugs also increase a person’s heart rate, cause anxiety and may even bring on a feeling of paranoia or cause hallucinations. Again, this is not a good reaction to be having if you are trying to control 2,000 lbs (907 kilograms) of speeding metal–a vehicle. Last, but not least–combining drugs and alcohol. Let’s just come out and say it, this is a very bad idea. Not only are you putting your body at risk of drug over-dose, but you will certainly not be in any shape to be behind the wheel of a motor vehicle. In conclusion, Is it fair to drive after taking drugs and alcohol? Absolutely not. You are a danger to yourself and to everyone around you. Drunk Driving Death Clock (US): 3446 – Time: 11:50 pm, Tuesday, April 26, 2011. – Yes, what this is saying that in the 1 hour and 37 minutes that I spent researching and writing this article, 2 people in the US died in an alcohol/motor vehicle related accident.